It really doesn’t matter to us about the size of your garden, you can still create inventive, stylish and abstract outdoor spaces. 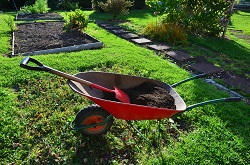 With one quick phone call to our marvellous garden landscapers you’ll be on your way to a gardening nirvana. Call 020 8434 7256 to discuss your options with our friendly and professional team of gardening experts and we will visit your property and provide you with a quote free of charge. You can start exchanging ideas and discussing plans for our gardening professionals to deliver, so look no further than London Gardeners for your latest garden design. You’d be crazy not to seek the advice of our experienced gardening professionals when creating great spaces is what we are so passionate about. In our business we see thousands of gardens in different areas all over the region, so we’ve got all of the best tips and tricks to make your garden stand out from your neighbours. Simply give one of our experts a call on 020 8434 7256 and we will be delighted to discuss your options with you. Our team offers fully comprehensive gardening services from the garden design, to all forms of work to implement these garden landscaping designs into reality. Once we’ve finished your perfect garden, we’ll even take care of the maintenance work to keep the area looking at its’ very best all year round. 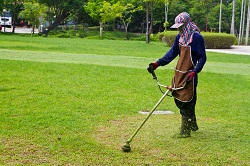 A thorough garden spraying every now and then will keep the weeds at bay, and a regular hedge trimming and pruning will make sure that everything is clean, neat and tidy for those special occasions. When it comes to garden design London Gardeners are the most experienced and professional service in London, catering for a wide range of customers from modest domestic properties creating useable and attractive spaces, to luxurious suburban mansions and homes with large grounds and gardens that are difficult to maintain. If you’re in need of reliable gardening services that can deliver on their promises and keep to tight time schedules and agreed budgets then you’ve come to exactly the right place. We pride our company on a fantastic reputation which has been achieved with consistently high levels of customer service over a number of years. We believe that by providing excellent results and customer service at amazing prices, our business model works on local people recommending us to their neighbours, friends or relatives. This is a framework which has worked with great success and we want it to continue for years to come. We really believe that with our company everybody wins from the staff to the customers. So find out why we’re the number one garden landscapers London and call 020 8434 7256 today.